A DiSEqC (Digital Satellite Equipment Control) switch is a device that connects coaxial cables from a satellite receiver to coaxial cables from a satellite antenna and is responsible for transferring data and power to and from each device. DiSEqC switches are used to control a satellite dish’s direction, send power from a satellite receiver to the oscillator in a satellite dish, and send data that a satellite dish collects to the satellite receiver. In the case of account related applications such as Pay-Per-View services, a DiSEqC switch can also be used to send data from the satellite receiver to the satellite dish, which will then broadcast the data to the television provider’s broadcasting system. DiSEqC switches consist of only coaxial cables and a conductor between them. When the user connects coaxial cables to both sides of the DiSEqC switch, the conductors within the switch provide a bridge in which data and power can travel through the coaxial cables in either direction. The conductors with the DiSEqC switch are arranged in a way that guides the electricity from each coaxial cable to its corresponding counterpart on the other side. DiSEqC switches should not be confused with cable splitters, which are similar in design and used for a similar purpose. DiSEqC switches are used exclusively for transmitting data and power between a satellite receiver and a satellite dish. There are many different versions of DiSEqC switches, with each version providing slightly different functions and arrangements for conductivity. 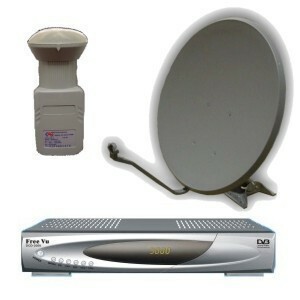 However, all DiSEqC switches can be used for the purpose of controlling and managing a satellite dish as well as transferring data to the satellite receiver. DiSEqC switches are advantageous because they have no moving parts and simply create a conductive bridge between two or more coaxial cables, making them very easy to use. 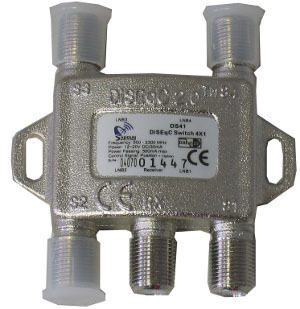 DiSEqC switches are also inexpensive, take up very little room, and do not usually need to be adjusted once connected between coaxial cables from a satellite dish and satellite receiver. This really leaves out the technical facts. Not worth reading. You don’t mention that the switch is controlled by the satellite receiver. I think this is an important omission. 281 queries in 0.484 seconds.